The Cincinnati Rollergirls are excited to announce that they will return to Schmidt Memorial Fieldhouse at Xavier University for the 2019 home season! Still searching for the perfect holiday gift for the Cincinnati Rollergirls fan in your life? Our pack is here to help you keep your holiday shopping on track. You’ll be the MVP of your holiday celebration with these roller derby-related gifts from our sponsors, partners and friends! Watching CRG blocker Hustle in action today, you’d never guess that on her first night on skates, she clung to the rink wall like a cat avoiding a bath (those are her own words — read more of them here). She’s confident, agile and strong, and she always seems to be in the right place at the right time, much to the frustration of opposing jammers. The Cincinnati Rollergirls are winding their way to a new venue in 2017 on Xavier University’s campus! Read the official announcement below. 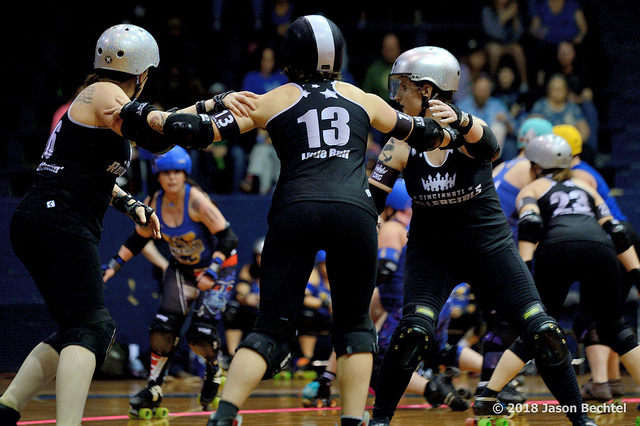 If you've been a CRG fan for the past few years, you know the name Jas Hubbard — or Jas "The Hammer" Hubbard, as our announcer The Loud Guy likes to call her (and now she even has a hammer tattoo to match). 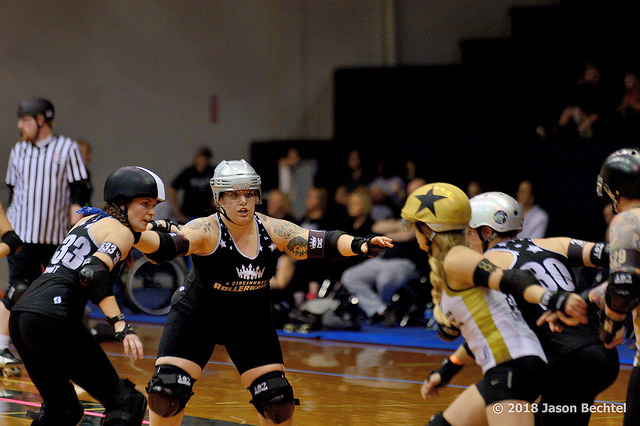 It's a fitting nickname, as Hubbard has been an indispensable tool in CRG's offensive toolbox. She had four 100-plus-point games this year, scored an average of 91 points per game and had an average point differential of +65 points per game. All told, she scored a whopping 729 points this season alone. And she electrifies fans as she laps the pack with dizzying speed and agility and lands astonishingly high apex jumps. We got this powerhouse point-scorer to slow down for a few minutes to tell us more about everything from her derby beginnings to her pre-game rituals to the kind of pizza that's the way to her heart. 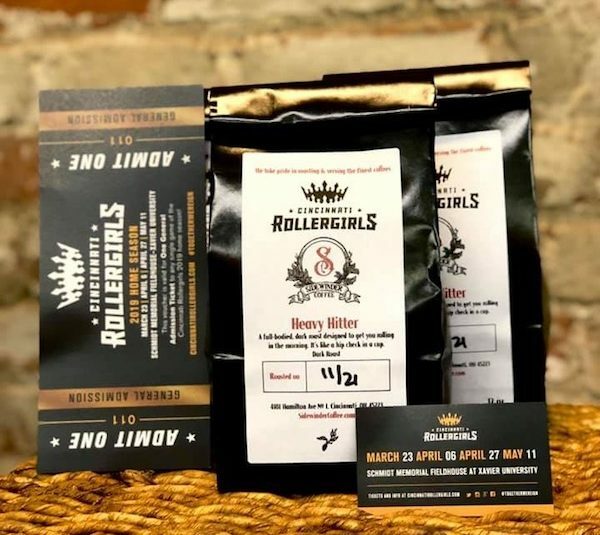 This Saturday night, May 19, the Cincinnati Rollergirls will finish their 13th home season and their second season at Schmidt Memorial Fieldhouse on the Xavier University campus with their inaugural Pride Night.